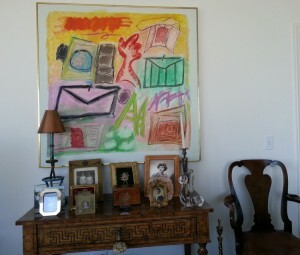 This painting adds a splash of color and acts as a focal point for the room. This entry was posted on Wednesday, June 1st, 2016	at 11:36 am	and is filed under . Both comments and pings are currently closed.